Tapichalaca Reserve is located below Cerro Tapichalaca on the eastern slope of the Andes. Since the initial purchase of 650 hectares in 1998, the reserve has been progressively expanded and habitat types from high altitude paramó (at 3,500 m) to sub-tropical montane forest (at 1,800 m) are now represented. The reserve was initially established to protect what was the only known site of the newly discovered Jocotoco Antpitta. Tapichalaca sits adjacent to the Podocarpus and Colambo-Yacuir National Parks, which increases the conservation value of both by ensuring a contiguous block of forest is maintained in perpetuity. In 2003, World Land Trust Patron Sir David Attenborough launched an appeal that successfully raised funds to purchase the Christopher Parsons Reserve, in memory of the late Christopher Parsons OBE. Chris was the Director of the television series Life on Earth, a Trustee of WLT and a close friend of Sir David Attenborough. The Christopher Parsons Reserve lies adjacent to Tapichalaca. The Rainforest Cafe Reserve, funded by WLT corporate supporter The Rainforest Cafe, London, forms part of the Tapichalaca Reserve and protects an area seven times the size of Hyde Park. Tree-planting work is concentrated in the sub-tropical montane forest edge in the upper Valladolid Valley, with native trees being planted on pasture on the valley flanks. The seedlings are grown in family nurseries and are all native to the area. The mix includes Podocarpus, typical of this habitat but threatened by over-cutting. 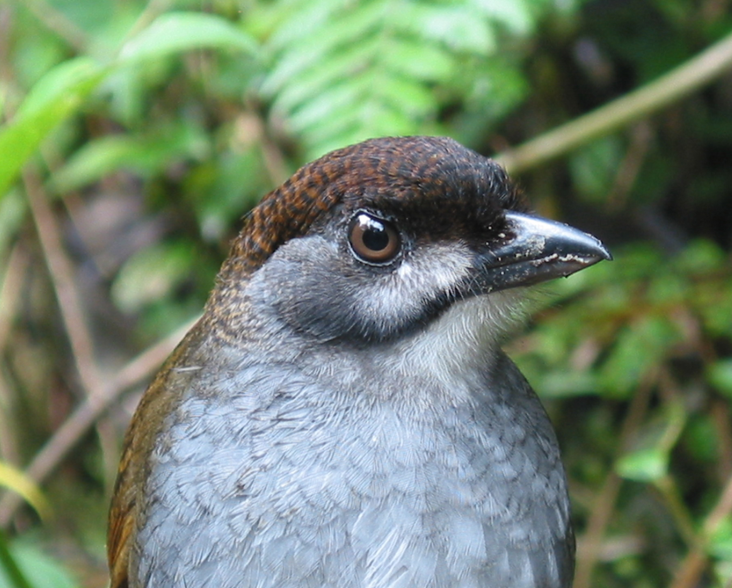 As well as almost the entire known population of the Jocotoco Antpitta, more than 10 near threatened and restricted range (endemic) species of birds can also be found at Tapichalaca, including Bearded Guan, Golden-plumed Parakeet, White-breasted Parakeet, Masked Mountain-Tanager and Coppery-chested Jacamar. Nine threatened species of frog have been recorded at Tapichalaca. 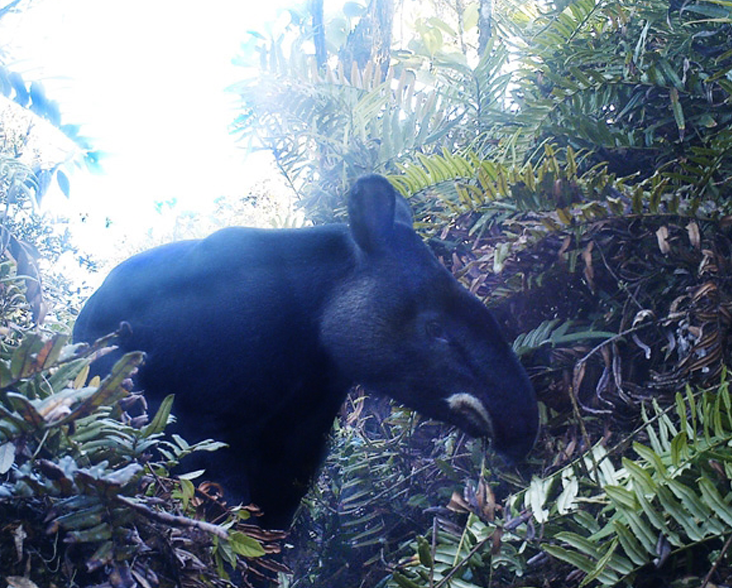 Spectacled Bear and Mountain Tapir are frequently seen at higher elevations, with Pampas Cat, Oncilla, Jaguar and Spider Monkey also present in the reserve. 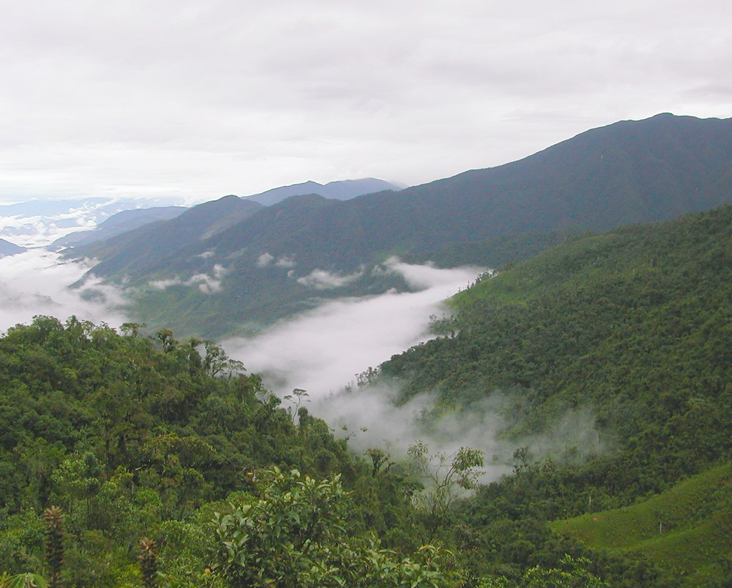 At present there is one carbon sequestration site at Tapichalaca, a 101 acre (41 hectare) parcel in the sub-tropical montane forest at the lower edge of the reserve, purchased with Carbon Balanced funding in 2007. Some 85 per cent of this parcel is forested, but is situated directly adjacent to an area being cleared for cattle pasture. The remaining 15 per cent is already pasture, which over the course of the project’s 20 year emissions accounting period will convert to forest through natural regeneration. These actions will offset some 6,300 tonnes CO2 emissions through a combination of REDD+ (Reduced Emissions from Deforestation and forest Degradation) and assisted natural regeneration.